A quick look through the shelves of J&AG's studio reveals a 15 year obsession with electronic music; from King Street, Locked On, Force Inc and Roule to Robsoul, Kompakt, 20:20 and City Rockers - it's a nostalgic documentation of their transition from bedroom DJ's to two of the scene's most dedicated players. Their Moda Black record label has become one of the UK's most acclaimed imprints, gaining worldwide notoriety for releasing high quality, interesting and forward-thinking electronic music. With a strong focus on emerging artists, the label's back-catalogue spans from Hot Since 82, Mia Dora and Danny Daze to Tim Green, Eats Everything and Groove Armada. As producers in their own right, Jaymo & Andy George have remixed for Pets, OFF Recordings, Defected and Gomma, whilst focusing on Moda Black for their original music. Tracks such as 'Remember', 'Guess Who' and 'Tales From The Basement' have achieved widespread support from the likes of Catz n Dogz, Scuba, Pete Tong and many more. 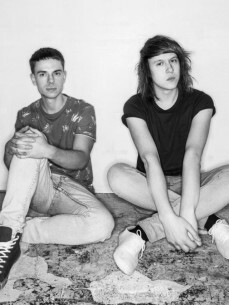 Their obsessive approach to finding new music has lead to numerous radio appearances, from their much praised Essential Mix in May 2013 to taking-over Pete Tong's BBC Radio 1 show on numerous occasions. The boys also present a weekly show on America's leading dance music station Evolution.